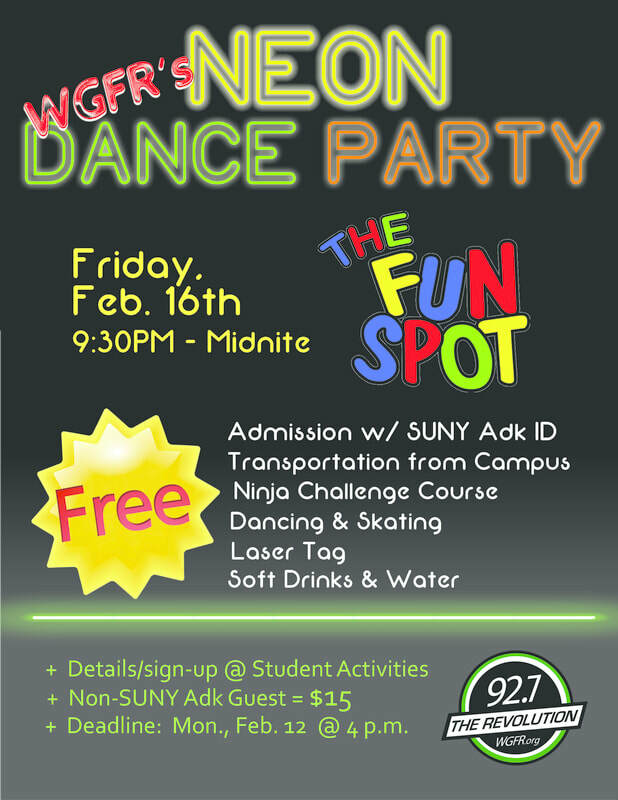 SUNY ADK kids! Get down with WGFR at The Fun Spot! DJ Pistol Pete will rock the place with awesome Techno/dance jams. Plus, you'll have the run of the place with free laser tag, skate rental and more. Check us out below and get your FREE ticket at the Student Life and Diversity Office in the Student Center at the Queensbury campus!